More about iittala Toikka Secretary Bird Called Sihteeri in Finnish, only 200 of the numbered Secretary Birds are in existence. They were created for Suuri Suomalainen Kirjakerho (a Finnish book club) in 2012. 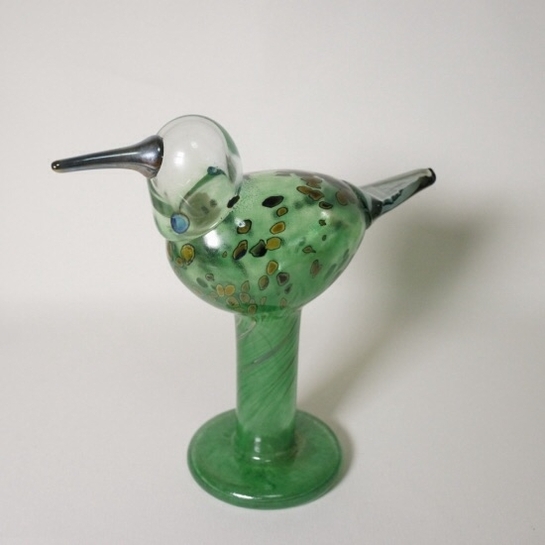 The green bird stands on a pedestal leg, with a clear head and beautiful spots.